If you don’t yet know, I’ve just had surgery. I mean, where have you been if you don’t know… You can read all about it here if you like. But ANYWAY, I’m lucky enough to be a member of the bomb babe squad and that includes working with the loveliest PR lady in the world. Tara decided to send me a not so little surprise “get well soon” parcel full of goodies. I can’t tell you how much it brightened my day when my mum turned up at the hospital with the package. Jake did have to get it open and fish through the puffs for me as I was extremely weak, oops. Here are the Bomb bits that I got sent! 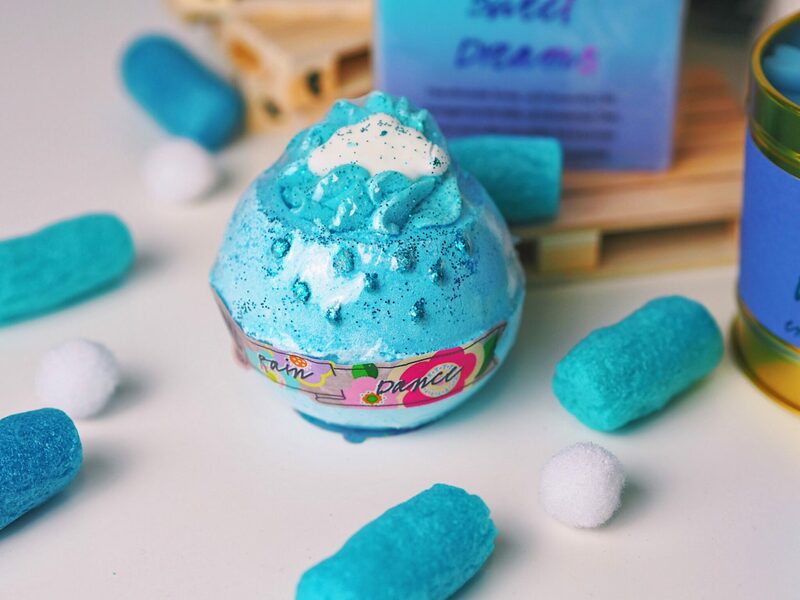 Bath bombs are always my weakness and this one is super fresh. 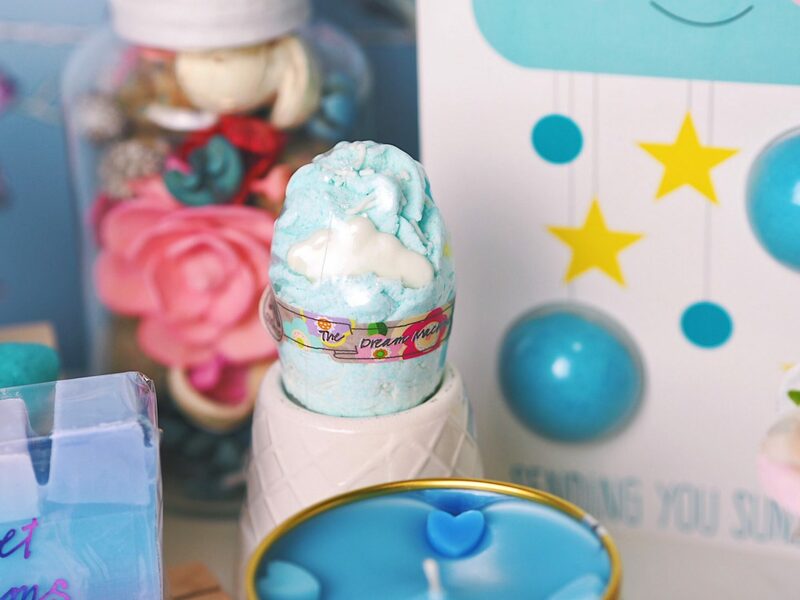 It’s got a little rain cloud on with the cutest glitter raindrops falling from it (but don’t worry, the glitter is biodegradable, as is the glitter in all of Bombs products). The peppermint and eucalyptus oils mix together to create a really refreshing scent making it suitable for all genders to enjoy. Not forgetting the swirled natural butter in the centre to leave that super soft and silky feeling on your skin. Lavender used to be a scent that I associated with old people. Now I smell it and feel all snug and ready for bed! I am such a sucker for the smell and find it such a huge comforter. Aswell as loving it in products, I love it in drinks and food, too! This little baby contains a whole load of lavender and geranium essential oils for all your sleep aiding needs. It’s an easily lather-able and lovely mild soap suitable for all skin types. Perfect for anyone in any sort of recovery stage. 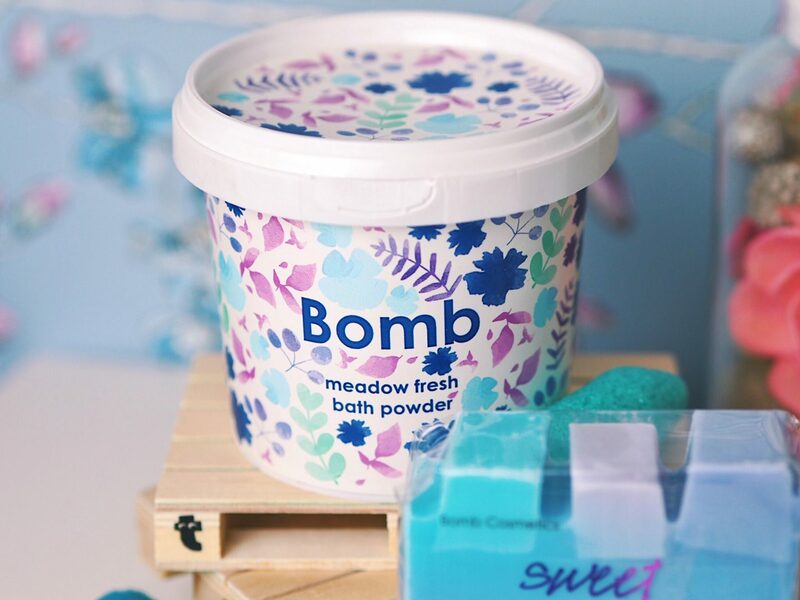 I’ve never tried a bath powder before, let alone one from Bomb but oh my, I am intrigued! 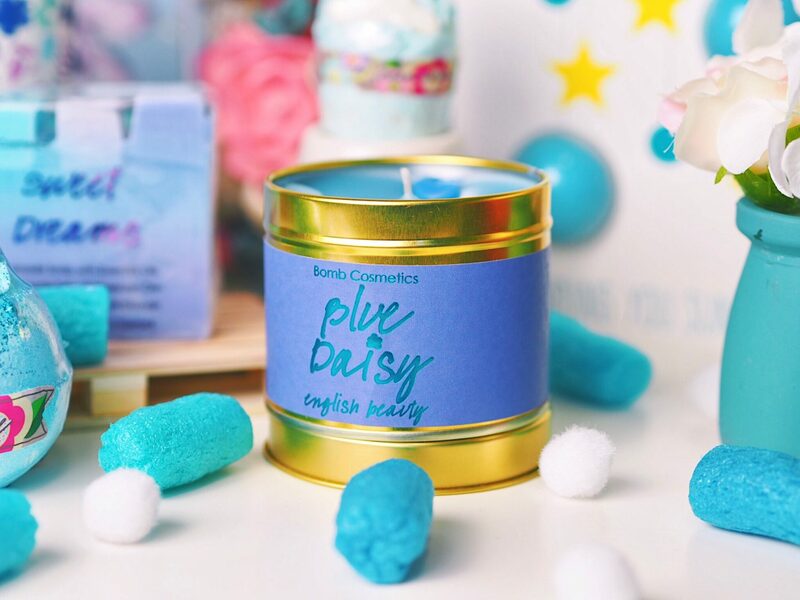 It’s meant to be a product that lightly fizzes and contains purifying sea salt too. This is known for being an incredible source of detoxing for the body which is JUST what I need right now. This one also contains pure petitgrain and clary sage essential oils aswell as olive and sweet almond oils, too. Talk about moisturising! 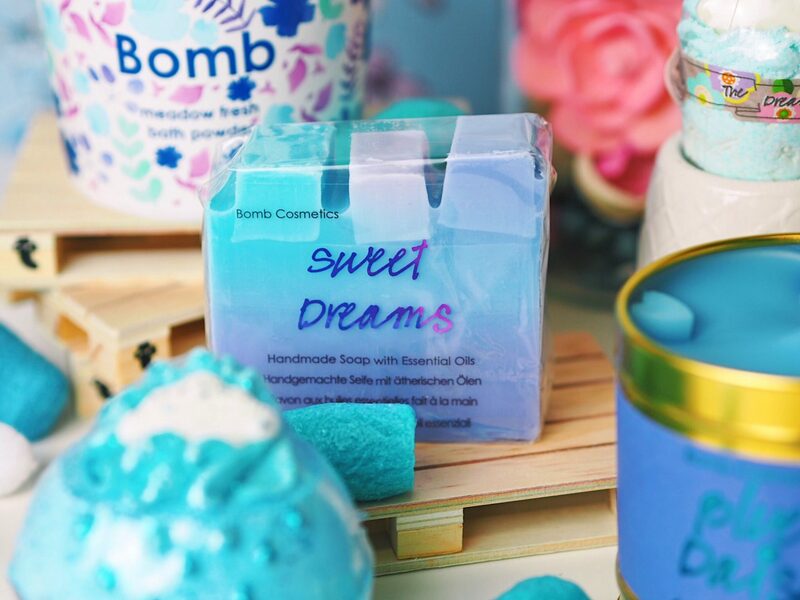 This creamy little guy goes hand in hand with the Sweet Dreams soap as it’s also a carrier of lavender and geranium. This would be perfect to pop in the bath before going to bed to drift you straight off. Despite containing completely different oils, it really does smell quite similar to the “Rain Dance Blaster” so they’d be a perfect pair as a gift. I have quite a big issue with Bomb Cosmetics candles if I’m honest. It’s like I have this internal argument with myself every time I get one as I don’t want to burn it because it just looks SO adorable but then I do want to burn it because I want my room to smell incredible. Do you see my problem? I do have a few stock piled for quite literal rainy days, so I think I’ll be able to burn this one safe in the knowledge I have more to stare at if needed. The oils in this one are lavender and marjoram giving it a beautifully sweet and floral scent, perfect! The blaster cards are definitely one of Bombs greatest ideas. 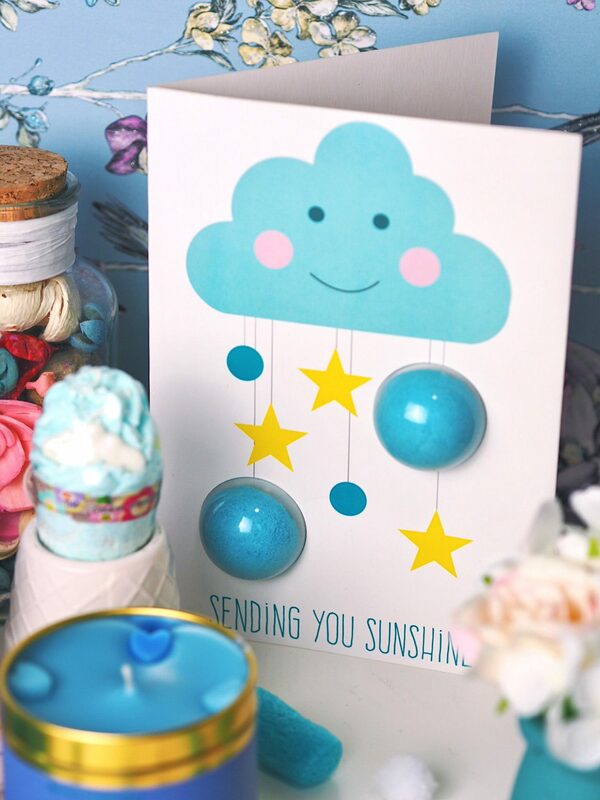 It’s a gift and somewhere you can write a lovely message in one and they have so many adorable options for all occasions, including this “sending you sunshine” one! I have given my other half and members of my family many of these cards and they’ve loved them every time. The fact that you get an average card for around £3 nowadays, you’d may aswell get one of these for a couple of pound more with a natural, hand-made and funky bath bomb in! 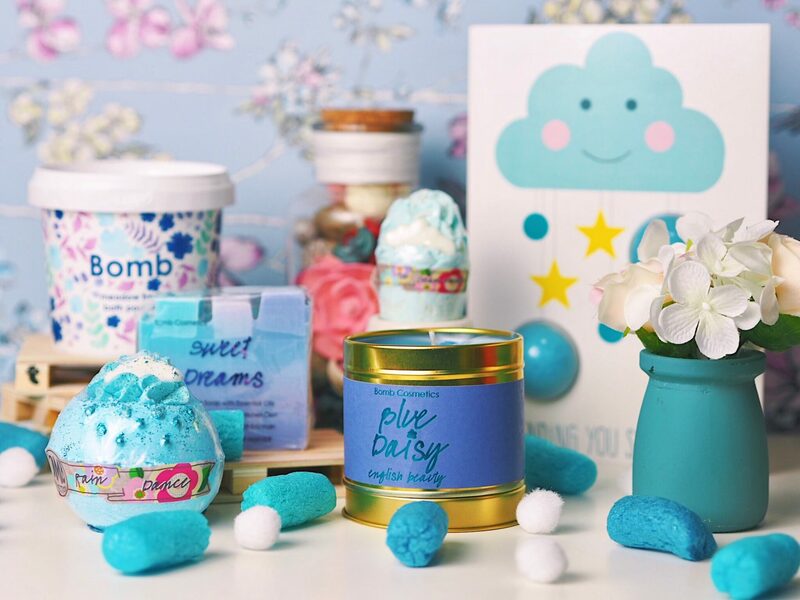 Do you have a go-to brand you purchase from for get well gifts? "My Shay And Blue Signature Scent: Black Tulip!" This is such a thoughtful little package from them and all the products look so good! This is such a wonderful and thoughtful idea! 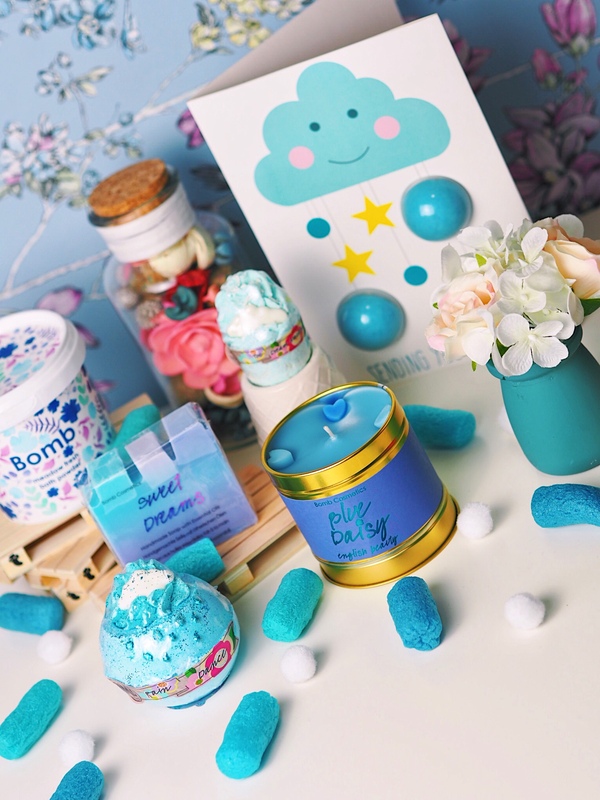 These products look wonderful! This is soo sweet! I’m glad this has brighten your day Alice. All of these products sound great and all are perfect to pick anyone up and have a perfect pamper evening. I actually recently received a haul. Purchased a couple of Christmas goodies and they chucked in a load of freebies! Bomb Cosmetics are the best. Such a cute idea for them to send you this! I hope it made you feel a little perkier after your surgery! The bit’s they have sent you seem perfect to brighten your day! Tara is so sweet! Love the gifts you’ve received – the color scheme is gorgeous. Ooh, all of these are perfect self-care products. Sending you lots of love! That’s such a sweet gesture! I’m bath bomb obsessed so if this had come through for me I’d of been bouncing off the walls excited. I can’t get over how nice that is of them! A well deserved gift! 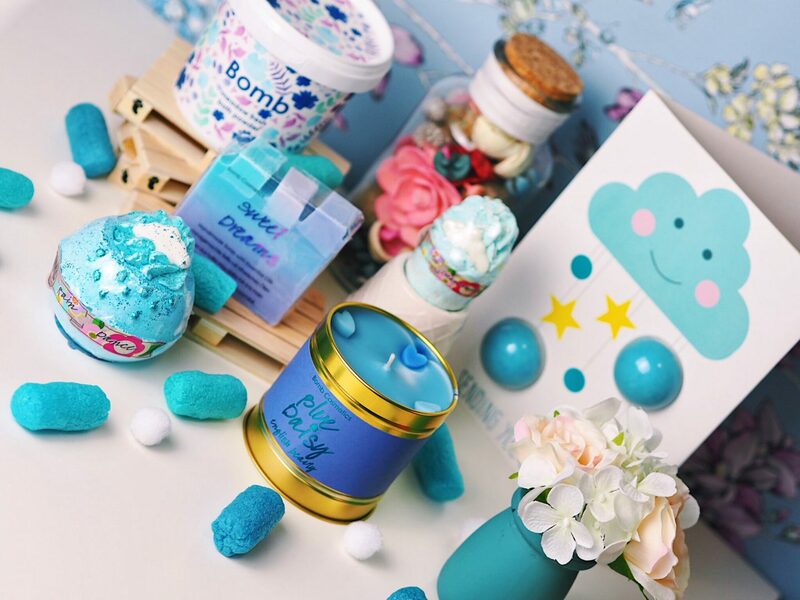 And how lovely are Bomb Cosmetics. I have only tried their candles and I got their hand treatment for my birthday which was so nice! I’ve bough some shower products for my sister and she loved them, so if thats anything to go by, I really NEED to try their bath range. I have to agree with you about the candles too. I keep them until I have used them in too many photos haha. I’m 90% sure I’ve had the Blue Daisy too. I love the blue theme too! So glad you’re on your road to recovery.